We’re about to step into the coldest part of the year. But how can Torontonians combat the sub-sub-sub-zero temperatures (it might sound better in Celsius... but believe us, it’s not), inevitable seasonal depression, and frostbitten toes? The answer is simple: the courage to transit (or pay Uber surge pricing), and a good, solid liquid layer. Here’s a list of bars that’ll see you through the winter, the warmer months beyond, and become your stalwart favourites in this frozen-solid block of concrete called the 6ix. Hallo! The newly-opened Otto’s Bierhalle brings pretzels and an extensive selection of German and Canadian beer to West Queen West. The reasonably-priced menu features an array of German-inspired dishes, from a classic pork knuckle to a spin-off schnitzel made with a choice of chicken, pork, portobello, or halloumi. Stumped by the extensive beer selection? 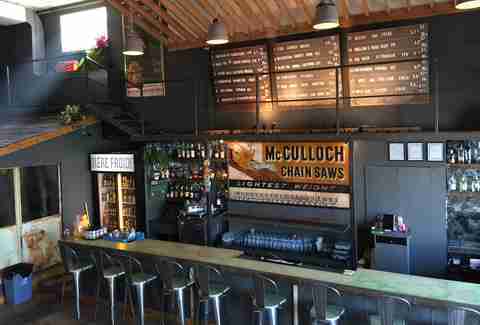 The staff are extremely knowledgeable, and will gladly help you pick the perfect pint. If nothing else, at least stop in and use the washroom: the highly-grammable facilities feature a button that turns your toilet break into a disco on demand. Civil Liberties’ motto is “Let The People Decide," and its expert bar staff believe that no two guests are alike. This original cocktail bar has no menu, but rather a team of bartenders that will tailor your drink to your whims. 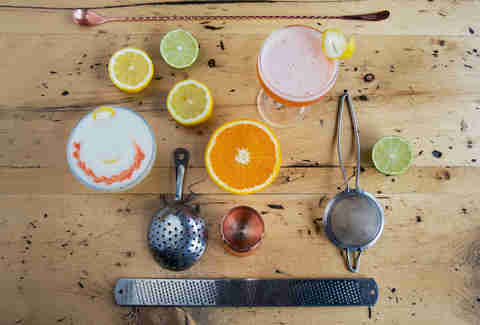 Whether you pick your poison or let the bartenders do their thing, Civil Liberties consistently serves up flawless, inventive cocktails. Bundle up and head out to Bloor Street for this inconspicuous bar marked only by a pineapple sign -- your efforts will be rewarded, and Civil Liberties will quickly become that place you always take out-of-towners so they know exactly how awesome it is to drink in Toronto. Pull up a seat at the bar this winter and watch El Rey’s bartenders prepare your beverage in dazzling fashion. 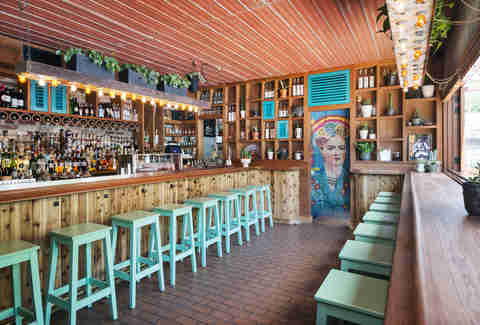 This cozy, sleek bar in Kensington Market is the Mexican sister restaurant of Toronto staples Bar Raval and Bar Isabel focusing primarily on mezcal -- tequila’s older, more rustic brother. Not quite sure what mezcal's all about? 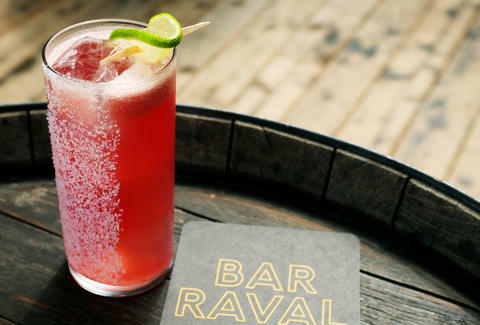 Try El Rey’s expertly curated tasting of the stuff. Alternatively, peruse the list of seasonal Mexican- and tropical-inspired house cocktails, which will be boozy, fruity, fresh, and exactly what you need to combat the knee-deep snow. The Greater Good, purveyors of fine arcade games and beer, is 2016’s new bar arcade on Geary Ave. The sister bar of the beloved Get Well on Dundas West, this beer mecca offers 20 rotating brews on tap, focusing on local (and by local, we mean literally down the block) breweries like Blood Brothers and Indie Ale House. If the extensive beers on tap don’t tickle your fancy, the fridges are stocked with cans and bottles; there's also a decent wine and cocktail list. Grab a slice of North of Brooklyn pizza, and gaze wistfully out at the Greater Good’s impressive patio dreaming of the warmer months and patio-going ahead. Clocktower Bar’s menu features only one wine in each colour and a single beer, forcing you to focus on the main event: the excellently crafted specialty cocktails. We recommend the fluffy, alcoholic version of a London Fog with earl grey-infused gin and vanilla bitters, or the seasonal Old Fascist that features bourbon, black pepper tincture, and cardamon bitters. The ambience is minimalist and nordic with white walls and light wood finishings -- a perfect date spot away from the frequently crowded watering holes downtown. Needless to say, this place will definitely score you a second date. The Red Light is an intimate, enigmatically marked dive bar on Dundas West at Ossington. What sets The Red Light apart from the 15,000 other bars on this block, you might ask? 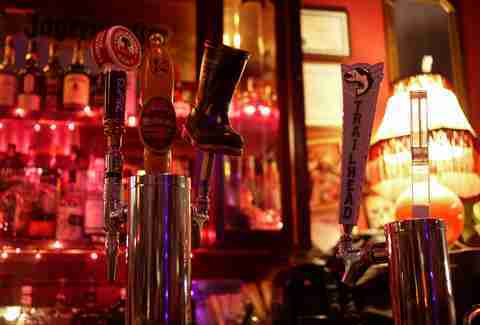 Varieties of bourbon alone make up a third of the bar, so if you like whiskey, you will love The Red Light. 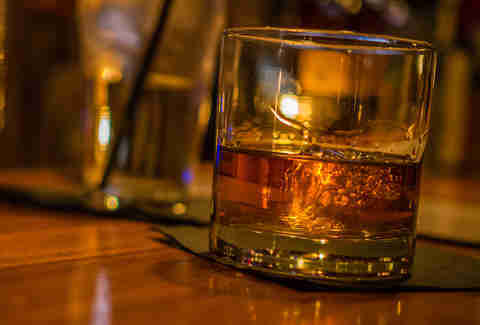 Even if you’re not a seasoned whiskey drinker, the bartenders know their stuff and are happy to make suggestions, or you can just pick up a can of craft beer at a very reasonable price. 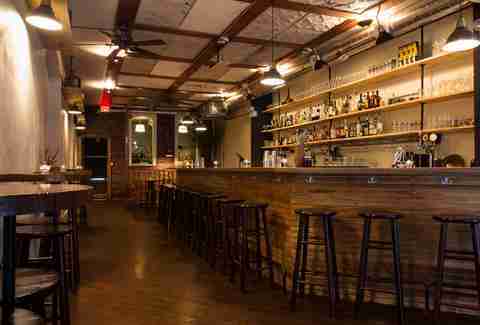 Despite its hot location, The Red Light maintains a casual vibe and local crowd. You’ll find seasoned regulars glued to the bar all week long, and on the weekend the ambiance maintains its chill but gets a little dancey, playing anything from The Boss to Biggie. In a city lacking wine-centric options for drinking, Archive sports an impressive wine list that will spoil you for choice. You’ll never wait for a table here, and can easily enjoy conversation with your wine-drinking companions over small plates for a refined night out. Archive focuses on serving local Ontario wines, and offers a surprising number of wines by the glass. Intimidated by the extensive wine list? Archive has a solution for indecisive or novice wine drinkers: the highly recommended blind flight. Allow the well-informed servers to curate your wine-drinking experience while you nibble on steak tartare, manchego bacon-wrapped dates, and charcuterie. 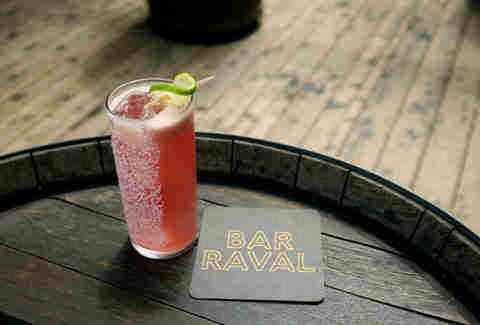 Whether you go at 8am or 2am, Bar Raval’s service, food, and (above all) drinks are impeccable. 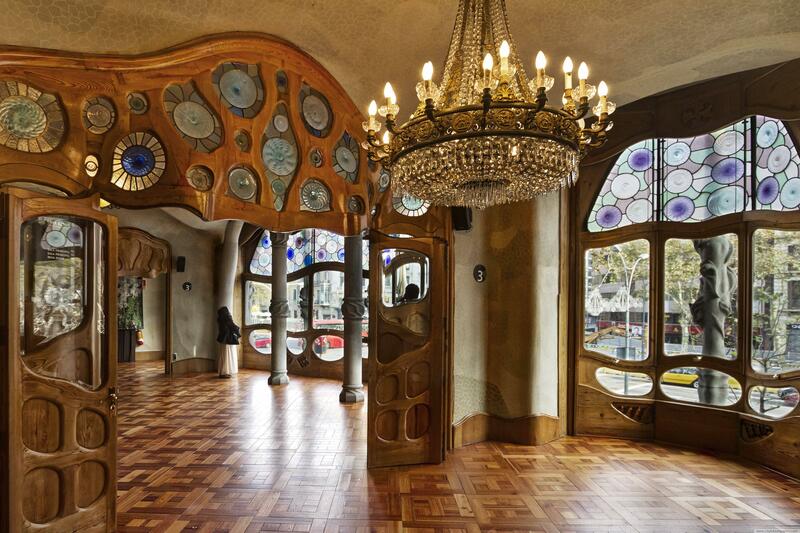 The interior of this bar features a tin ceiling covered by a sprawling, ornate wood structure that evokes Barcelonian architect Antonì Gaudi. The bar is inspired by the team’s adventures in the eclectic Raval neighbourhood of Barcelona, and the pinxtos (small plates) and rotating cocktail menu accurately reflects this inspiration. The food menu is cryptic and lacking description but essentially you can’t go wrong. We recommend the octopus for a life-changing experience, or the stracciatella & boquerones for a flavour explosion of cream and salty fish topped with parsley oil. The cocktails change seasonally and, unlike the food menu, feature eloquent, whimsical descriptions so you can tailor your drink to your every mood. Not feeling the set cocktail list? 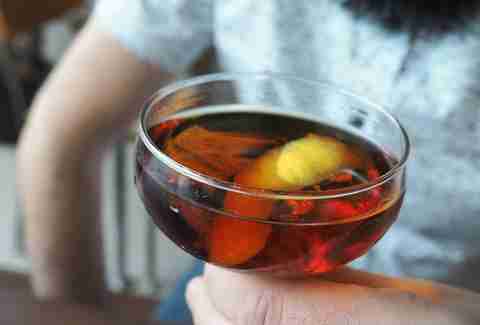 Pull a Civil Liberties and ask the bartenders to sort you out. After all, “you’ve stumbled into Wonderland”... why not stay a while? Miss Thing’s island vibe extends to its exterior, adorned with tropical decor above the restaurant, gold chrome handles, and pineapple decals on the door. This Pan-Asian and Hawaiian-inspired restaurant and bar plays on tourist culture and our common conception of the “tropical drink” with a sophisticated twist. 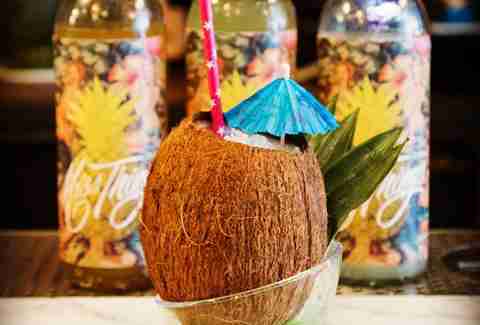 Miss Thing’s cocktails are complex, fresh, and original -- you’ll feel transported to the sandy beaches of French Polynesia for just $13. Try its version of sangria, served in a seahorse cup, the Caribbean Queen, the more structured Mr Guava Guava, or get your entire group in on a large secret sharing cocktail with multiple fluorescent straws and festive umbrellas. You have cash only and want nothing fancy at all. Done Right Inn is here for you. Go here with friends and spend all night chatting, lounging, meeting new characters, and people watching the eclectic multi-generational crowd. This long-standing establishment on Queen West has no sign to speak of, but a well-stocked beer fridge, a casual vibe, and an assortment of your grandmother’s furniture. When the summer months finally roll around, grab a beer and head out to the beautiful back patio where you can spend the sticky, warm nights on plastic patio furniture under an intimate vine and tree canopy. 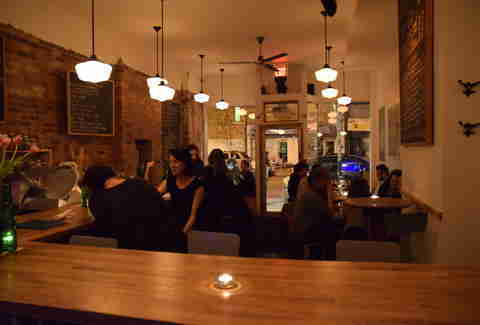 Pinkerton’s is an outpost of the Ossington strip in family-friendly Leslieville. 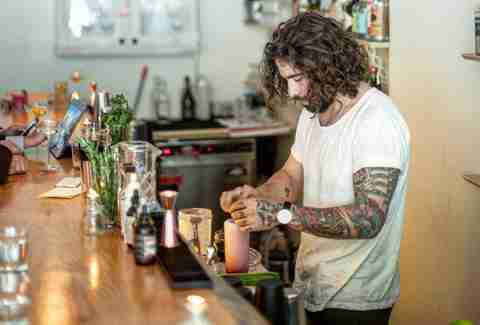 At this bar named after a Weezer album, you’ll find delicious snacks, well-crafted classic cocktails, and no shortage of beautiful tattooed people. The small plates are seasonal with an emphasis on Asian techniques and inspired by whatever ingredients can be found at Kensington Market the day-of. Try anything and everything on the menu as you may not see it again. In a city bursting with inventive, original drinks, Pinkerton’s does the classics justice -- we suggest the perfectly frothy Whiskey Sour or a classic Corpse Reviver. There’s also a rotating list of local tall boys and a robust wine list to round out the menu. Parents of the east side, delight -- you can get food and drink until 1am after you've put the kids to bed at this sophisticated alt-rock snack bar!